The Westland WS-61 Sea King is a British licence-built version of the American Sikorsky S-61 helicopter of the same name, built by Westland Helicopters. The aircraft differs considerably from the American version, with Rolls-Royce Gnome engines (licence-built General Electric T58s), British-made anti-submarine warfare systems and a fully computerised flight control system. The Sea King was primarily designed for performing anti-submarine warfare (ASW) missions. 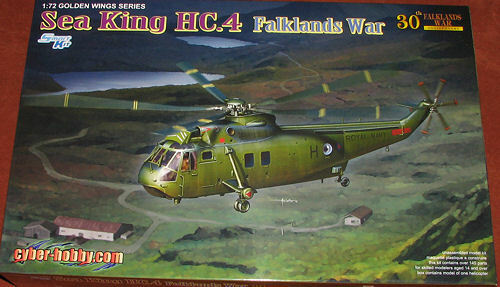 A Sea King variant was adapted by Westland as troop transport known as the Commando. In British service, the Westland Sea King provided a wide range of services in both the Royal Air Force and the Royal Navy. As well as wartime roles in the Falklands War, the Gulf War, the Balkans conflict, the Iraq War, and the Afghanistan War, the Sea King is perhaps most well known in its capacity as a RAF Search and Rescue Force helicopter. The Sea King was also adapted to meet the Royal Navy's requirement for a ship-based airborne early warning platform. As of 2012, the WS-61 Sea King remains in operation in Britain, as well as multiple export customers: Germany, Norway, Egypt and India. Some operators have replaced, or are planning to replace, the Sea King with more modern helicopters, such as the NHIndustries NH90 and the AgustaWestland AW101 Merlin. The Sea King HC.4 is also called the Commando, and is an assault and utility transport version for the Royal Navy, with simplified undercarriage, and lengthened cabin. Capable of transporting 28 fully equipped troops; 42 built. If you build helicopters, then you have undoubtedly built a Sea King during some time in your life. Previous to this one, all of these have been ASW or Rescue versions with the float sponsons. To do a proper Commando, you had to rely on aftermarket sets, and I still have one to tack onto a Fujimi kit. 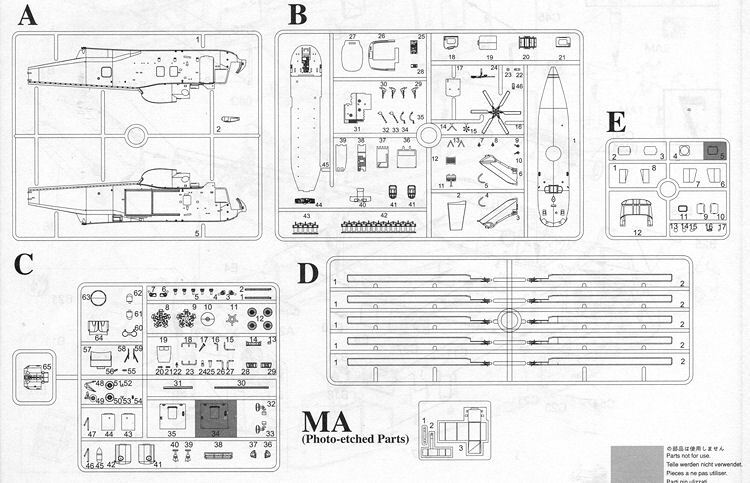 Well, now you do not have to do that as CyberHobby has produced a Commando kit for their first of what will undoubtedly be many variants on the Sea King theme. Normally, multiple version kits will have a standard fuselage where you simply cut out which ever window combination you need for the version being kitted. Well, this does not seem to be the case with this new CyberHobby kit. There is a goodly amount of frame detail on the inside of the fuselage halves and no cut outs. The fuselage halves are alone on the sprue so it seems that we will see dedicated fuselage halves for any other variants. The options you can, for the most part, read in the listing below. However, I should add that you can install separate open or closed cockpit side windows and there are two different sets of main rotor blades. One set is molded as if the helo is flying with the blades bent upward, the first time I have ever seen this in a helo kit The other set is, as is noted, properly drooped for static ground operation. I should also mention that there is a tiny photo etch fret that is for the ammo can and mount for the door gun. All the options are the same Helo Green with the only difference in options being the aircraft number and serial number. A slight problem with this is that these are not keyed as to which serial matches which aircraft number. 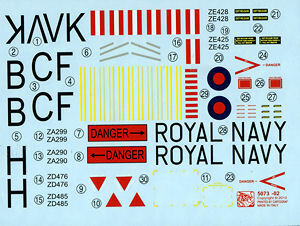 In fact, the instructions show five aircraft numbers and six serials though six aircraft numbers are provided. There is no logical connection between the two. I know it is a minor thing as most will simple pick whichever they want, but if options are going to be offered, they should be explained. Things like this are, however, why there are aftermarket decals for those who are concerned. The rest can use what is offered as few if any of their friends will notice. This very much surpasses what has been done before, especially the rather elderly Airfix kit in this scale. Those who want a no hassle Commando will appreciate this kit.